You want high quality doors to ensure you will not have to go through the ordeal of replacing them in the future. You also want doors that are affordable and within your price range, without compromising on quality. Where will you get such doors? Well, Todd Doors present to the Alu 9503 Oak bespoke fire door. Made using a specially engineered method to ensure the quality of the door remains intact and you get an affordable door. This door is made to order and other glass options are available. Alu 9503 Oak bespoke fire doors look like a work of art. With contemporary styling and rounded edge brushed Aluminium inlays, this door is a beauty and the Aluminium inlays work as a divider for the 3 pre-glazed glass panes. To make the door sturdy and strong, timber veneer over a solid core is included in the construction stage, with the White Oak Veneer pre-finished in a clear lacquer during manufacturing. 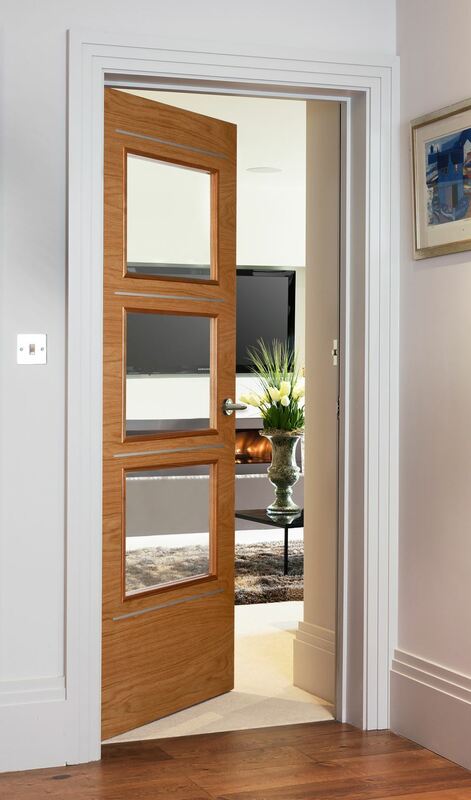 A high quality engineering method has added to the durability of this door.When you receive the Alu 9503 Oak bespoke fire door, you will immediately know that it was made just for you, as each door is custom made to order to fit perfectly in your modern home. When you place this contemporary creation in your modern home, you will notice an immediately positive change in your home environment, as everything will suddenly look a little more alive.